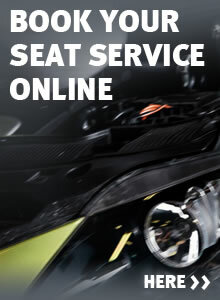 Our service departments have slashed the price of a standard service on all makes and models of cars, with fully trained Volkswagen group staff specialising in Volkswagen, Audi, Skoda and SEAT at substantially reduced prices. This means motorists now have the perfect excuse to ensure their vehicle is in tip-top condition after weeks of the worst Winter weather for decades. As part of this offer, the dealership's highly trained technicians will perform a full inspection of the vehicle, looking over wheels and tyres, brakes, lights, battery condition along with an oil and filter change. Naturally, our dealerships' professional valeters will throw in a wash and vacuum! Our dealerships have also slashed the prices on new cambelts for all SEAT models, with prices for replacement cambelts (including parts, labour and VAT) only £399 for Petrol and £409 for Diesel cars - with a 5 year warranty on cambelts fitted for vehicles up to 10 years old.